Extremely gorgeous right? This Fuel cell electric vehicle FCEV concept car is known as HND-6 designed by Hyundai as their future concept car. The front looks is a perfect blend of sporty and elegant face. We love the overall design of this car so much. 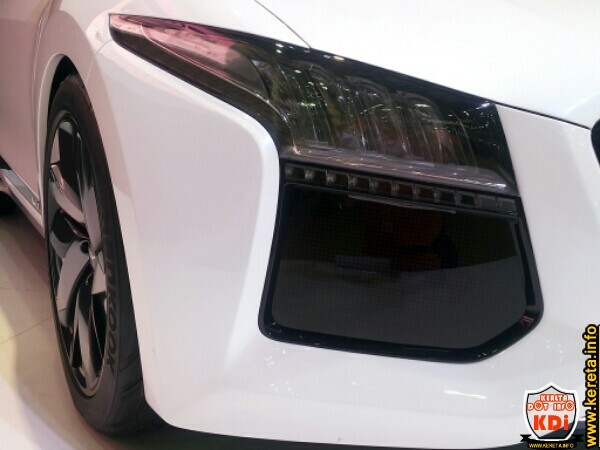 What do you think about this cool picture gallery of the HND6 FCEV car captured by kdi during international motorshow? Nice? Boring? Or too much? View more exterior front, side and rear view of this car here at kereta.info. Side profile combine coupe and luxury sedan curve. Rear parts design is simple, clean but very nice with the LED tail lamp. PROTON EXORA TAXI & GOVERNMENT FLEET.